Alexandra Gold/Silver is our latest arrival of our iconic Alexandra Jacket. 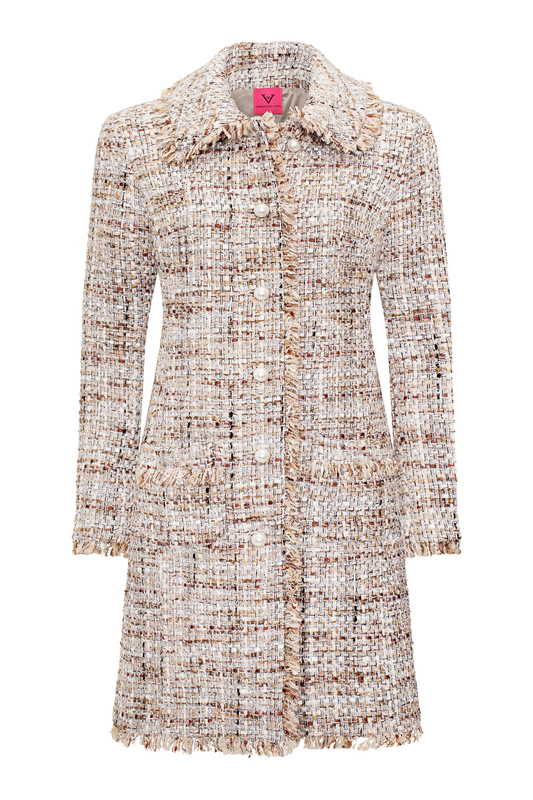 Luxury tweed with golden and silver highlights equals the perfect blend of tailored elegance and contemporary edge. 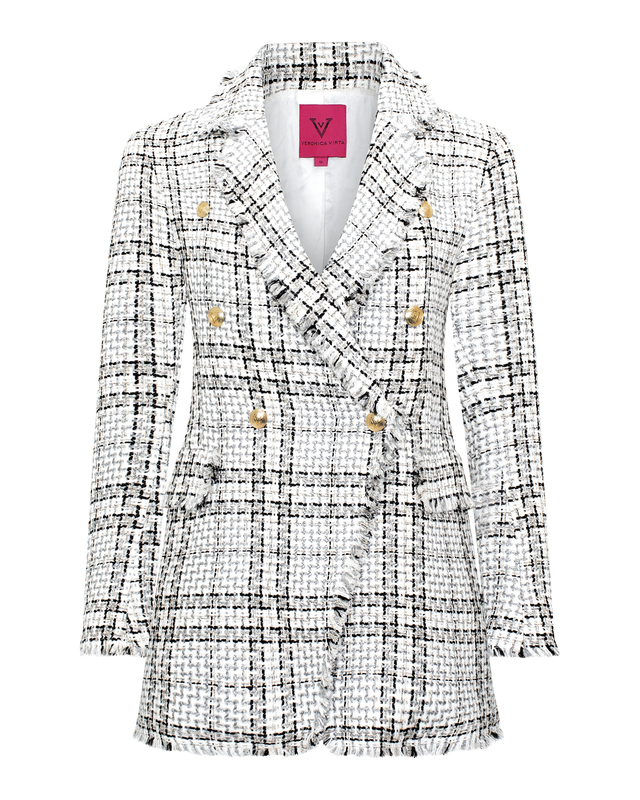 The classic design features rounded pearl buttons, a round neckline and four front pockets. The style is finished with a frayed edge along the hemline and trims. 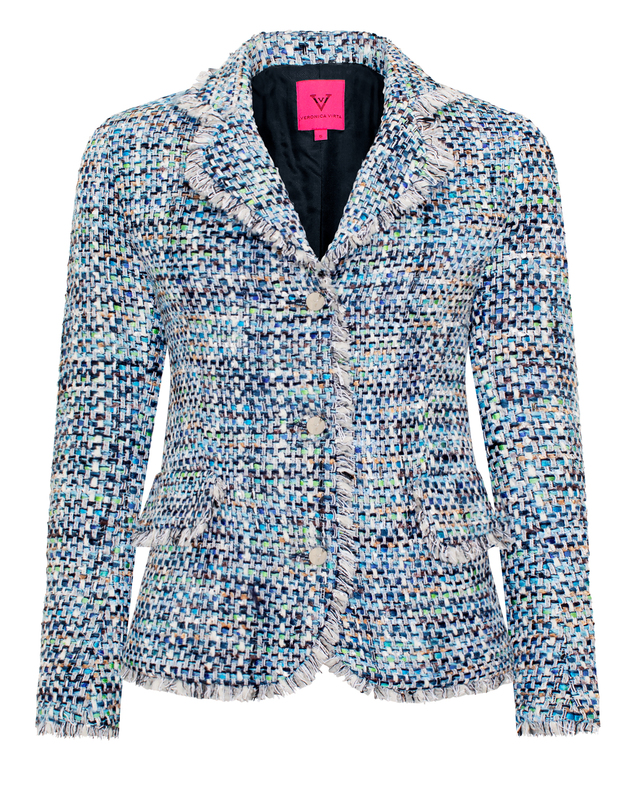 Alexandra is the perfect jacket for any occasion.